The act of looking out, starting with gazing at things outside the ‘gate’ which in turn becomes an observation, provokes a question and even ventures into an abyss. 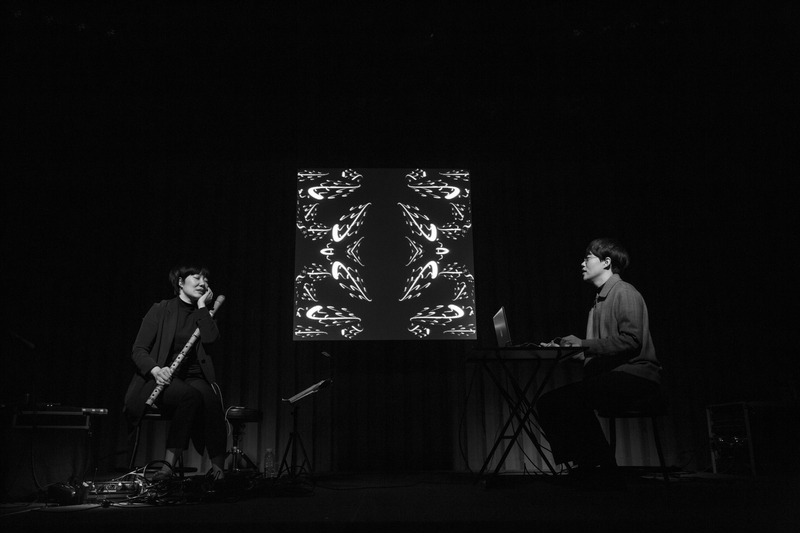 Daegeum (traditional Korean bamboo flute) artist Cha Seungmin and visual artist Lee Seonguk’s ‘Eye Gate’ starts questioning the possibility of two different forms of media to have an equal status. It then gazes at, contemplates and observes what is beyond the 〈gate〉 (It is not only about eyes and a window but also about a question and answer.) and discovers the relationship among the beings it encounters that are projected and mutually responsive. 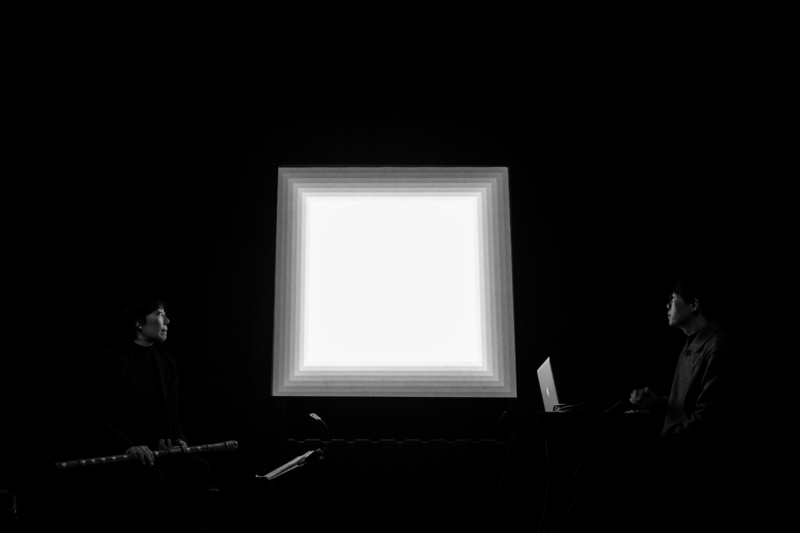 Finally, the discovery becomes a visual and aural presentation as a piece. 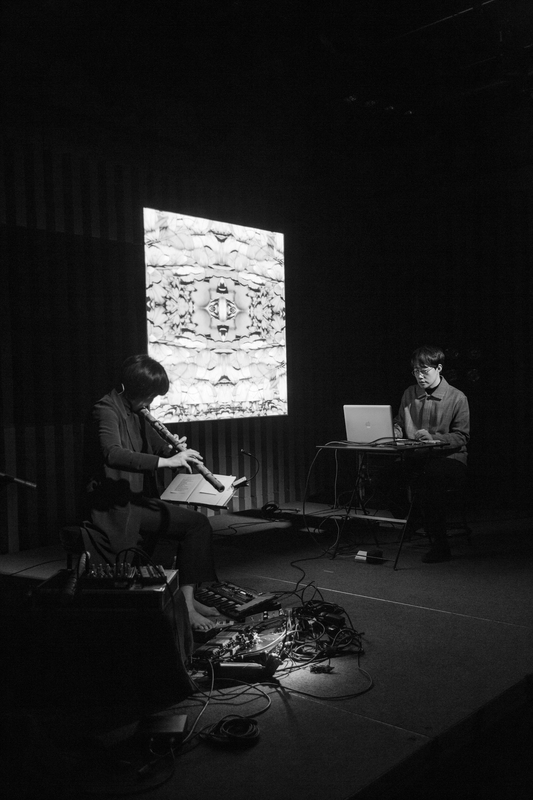 Nuunmuun is an experimental duo, consisting of a musician and a visual artist. 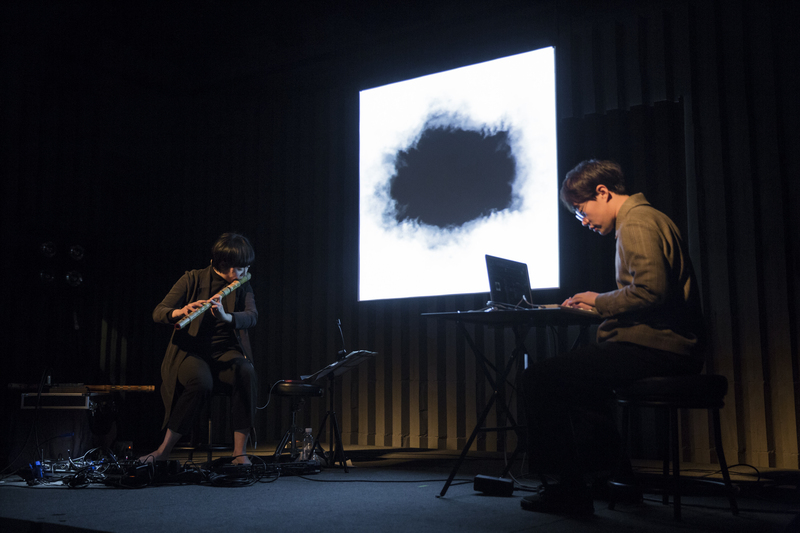 They aim to collaborate on the same horizon with exploring the moment of awakening and all the senses triggered from the experience. 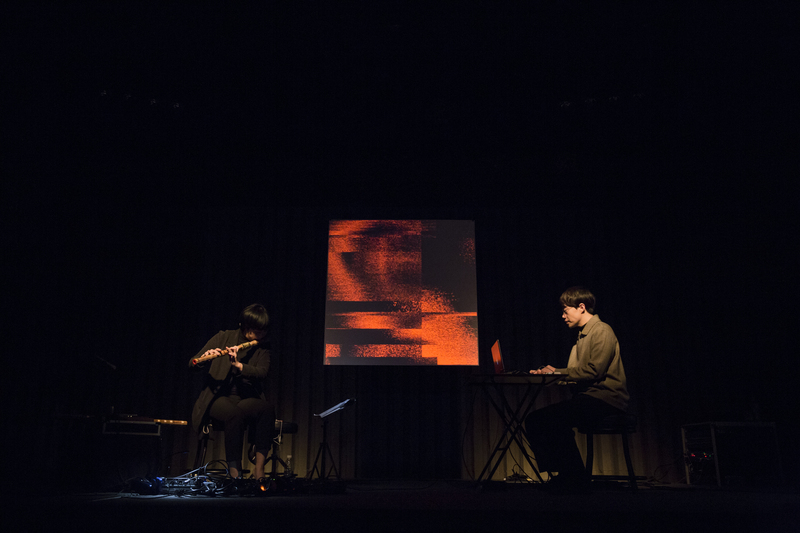 Seung-min Cha is a Daegeum player, composer working with poetry and illustrator. She creates works using various medium to share her stories.